Wendy is now a grown up woman whose husband is going to fight in the war. In order to keep her children happy, Wendy tells them her stories about Never Land, although they are quite sceptical about them. 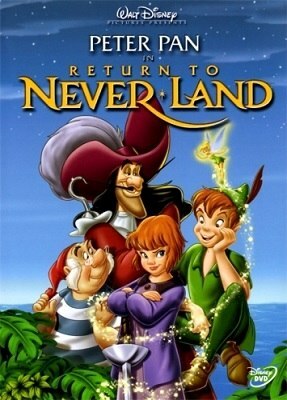 But this changes when Jane, Wendy’s daughter, is kidnapped by Captain Hook, who still seeks for revenge on Peter Pan. After saving her, Peter assumes that Jane is similar to Wendy, so he takes her with the lost kids. But Jane refuses to take care of them and she does not believe in fairies, so Tinker Bell fades to almost dying.